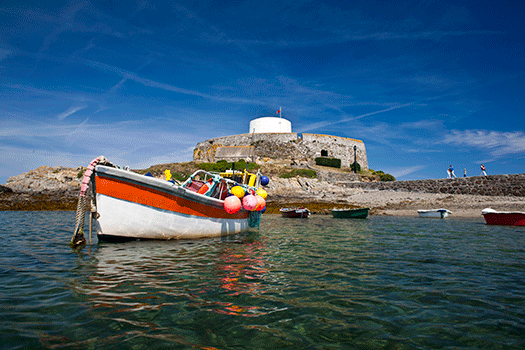 Situated at an hour’s crossing from Diélette or Carteret, discover the charming island of Guernsey. Here nature is queen and the sea is generous. 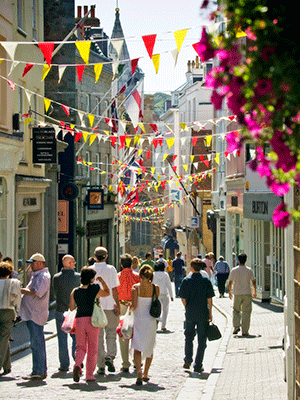 Away from the daily hustle and bustle, Guernsey promises you a dream stay. Paths, cottages, beaches, English gardens, fortifications... Landscapes of irresistible beauty await you. There are also many castles and museums to visit and the famous "Hauteville House" where Victor Hugo lived during his exile. Guernsey’s capital is a busy harbour town,Saint-Peter Port, offers a fascinating mix of styles, a maze of cobbled streets, rows of houses leading down to the seafront and terraced gardens flanked by old stairways and secret alleyways. Discover a rich heritage consisting of ramparts, towers, and coastal fortifications. 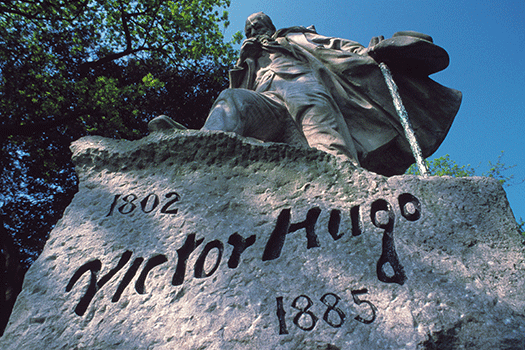 Discover the house where Victor Hugo lived during his exile. It is here that "Les Misérables" was written. Dunes, creeks, sandy beaches, small harbours, nature reserves, horticultural treasures, wooded valleys and peaceful paths follow one another along 160 km of coastline.